VietNamNet Bridge – The growth rate of the commercial electricity sector and power production in the last four years was 3-4 percentage points lower than predicted, according to the latest report from the Energy Department and the Electricity of Vietnam, submitted to the Ministry of Industry and Trade (MOIT). It said electricity demand in 2014 was lower than initially projected. It is estimated that 145.4 billion kwh of electricity was produced in 2014, an increase of 11 percent over 2013, while commercial electricity volume reached 127.6 billion kwh, increasing by 10.9 percent over the year before. The lower than expected growth rate in power usage was attributed to lower GDP growth rate during the period – 5.64 percent in 2011-2013 instead of the predicted 7-7.5 percent. The power demand growth rate slowed because of the recession which led to low investments in industrial production. Under the 2011-2020 electricity development plan, power demand would be 169 billion kwh by 2015 and 290 billion kwh by 2020. The power demand growth rates in 2011-2015, 2016-2020 and 2021-2030 are projected to be 14.4 percent, 11.3 percent and 7.8 percent, respectively. The total electricity production capacity is estimated to reach 75,000 MW by 2020 and 146,800 MW by 2030. However, the total electricity capacity of all existing power plants and actual electricity output are 32,500 MW and 145 billion kWh, respectively. 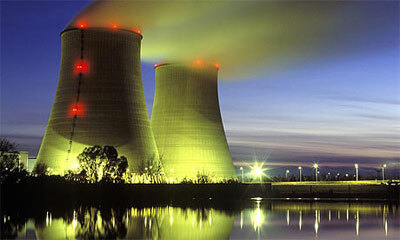 Experts have said that there is no need to worry about electricity shortage in the years to come. Tran Viet Ngai, chair of the Vietnam Energy Association, in a recent interview with the local press, said a series of important power generation projects would be implemented from now to 2020. The plants, with expected total capacity of 10,000 MW, would provide sufficient power to the southern provinces. These include Long Phu 1, Long Phu 2, Song Hau, Duyen Hai 1, Duyen Hai 2, Duyen Hai 3, Vinh Tan 2 and Vinh Tan 4 thermopower plants. Analysts commented that the information about power supply has given one more reason to Vietnam to reconsider its nuclear power development program. Professor Pham Duy Hien pointed out that the GDP has been growing by 6 percent on average over the last four years, and he doubts the GDP growth rate from now to 2020 would be higher than 7 percent. He went on to say that Vietnam can improve the electricity supply by reducing electricity loss, pointing out that the elastic co-efficient index of 1.6-2 is too high, which indicates electricity waste.